Customer Service. Customer Experience. Passionate. Reliable. Committed. We are a company that believes the comfort and relaxation a beautiful landscape brings is the reason to have a landscape. We are professionals and our landscape services will be honed to meet your landscapes needs, providing to you, your family and friends the comfort and relaxation a beautiful landscape brings. With your help we will understand your landscape needs and desires and create a long term innovative program to maintain and protect your landscape. This partnership is our mission and is truly where beautiful landscapes begin. In 1997, while a sophomore in high school, Jimmy Tompkins started a lawn mowing business. Operating out of a loaned truck from his parents, he went door to door in the Raleigh area selling his services. As his client base grew, Jimmy was being asked to handle a broader range of tasks within the landscape field. Never wanting to say “no” to a client, Jimmy began to view his business as a customer service oriented company through which he could provide all of his clients’ needs. Thus JT’s Landscaping and Lawn Care came into being. Jimmy’s knowledge of the landscape industry grew quickly through experience and consulting with others who had been in the field for many years. As his business continued to grow, Jimmy maintained the “small business” atmosphere, always eager and ready to tell others about his company while earning their business through the quality of services provided. 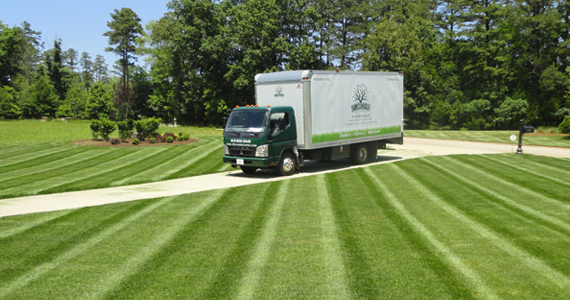 As time went on JT’s Landscaping and Lawn Care transitioned from a one man show cutting a few lawns here, to a company that designed, installed and maintain some of the most prestigious properties in central North Carolina. “No” is still not in Jimmy’s vocabulary nor that of any of his team members with customer satisfaction always the number one priority. 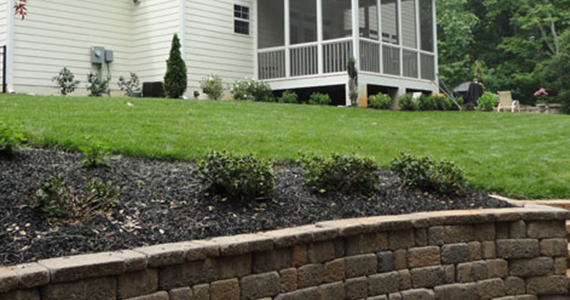 JT’s Landscaping and Lawn Care continues to be the same small company it when it started, a company dedicated to its customers, with a strong passion for the outdoor environment and enhancing the landscape. JT’s Landscaping and Lawn Care team members are some of the best, friendliest, most knowledgeable and dedicated landscapers you will find. All show the highest respect to the clients and their properties. All exhibit great loyalty to the company, and all take great pride in the work they accomplish every day. We look forward to speaking with you and helping you get the yard you’ve always dreamed of. Thank you for visiting our website.